Migraine headaches are becoming far too popular in today's society. Migraine headaches are hard for most doctors to treat and manage because there are so many triggers for migraines. Dr. Boynton is an expert in helping patients identify their triggers by use of functional medicine testing and a very through chiropractic and neurological examination. He also receives many referrals from medical doctors who struggle to help some of their patients. Dr. Boynton uses a wide variety treatments options to help his patients. Chiropractic adjustments is at the core of his treatments as many patients receive a great deal of relief for chiropractic adjustments. When the chiropractic adjustments do not make enough difference then he recommends functional medicine testing to determine the underlying physiological breakdown causing the symptoms of the migraine. Cervical subluxations is a common cause of migraines. A subluxation is a medical term used by chiropractor to describe a bone in the body looses is its normal position which will lead to improper bio mechanics and eventually loss of proper physiology. The skull can also have subluxations. Yes the bones of the skull do move slightly. When they don't move cerebral spinal fluid (CSF) doesn't move properly around the brain. Dr. Boynton is an expert in identifying and treating subluxations. Functional medicine testing usually finds patients have unidentified food and chemical sensitivities, gut dysbiosis (leaky gut), leaky brain (membrane hyper permeability), airborne allergies, histamine intolerance, heavy metal toxicity loads, nutritional deficiencies, elevated viral load, candida, parasites, hormone imbalances, cortisol imbalances. Cincinnati is the worse place in the country for barometric pressure migraine headaches. Pressure is typically out of the patients control. Elevated inflammation in the body can greatly influence how barometric pressure affects your headache. Dr. Boynton and his team are experts at treating migraine headaches and help patient resolve them without the need for medications. 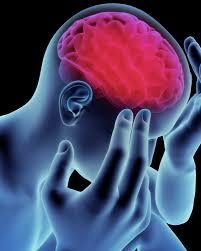 Most migraine sufferers take very strong drugs that cause a lot of collateral damage to the body. Mainly the liver, kidneys, GI tract and immune system.